The download guide for the Axure software. 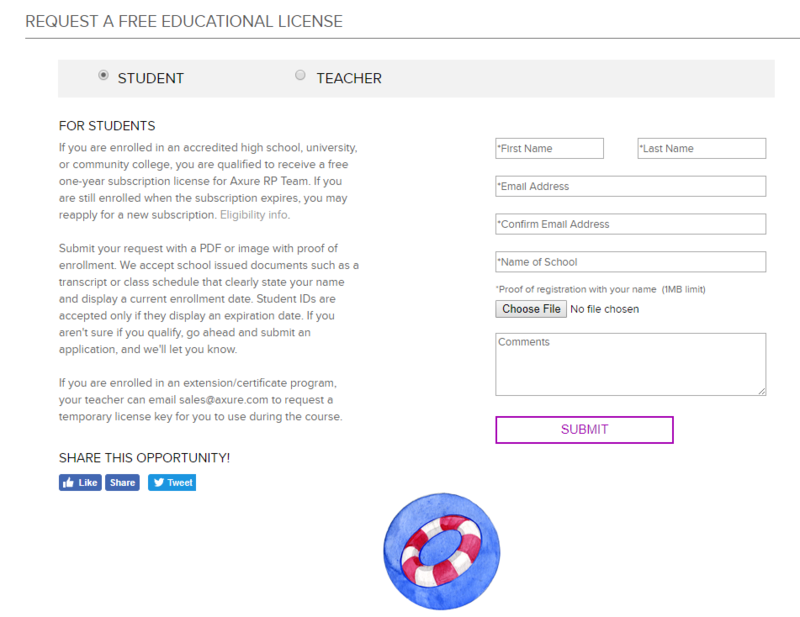 Complete the request for a free educational license. Click Submit. When the download is finished click Open. 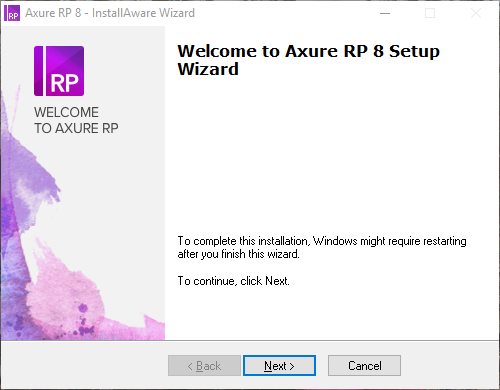 Allow the setup package to run. 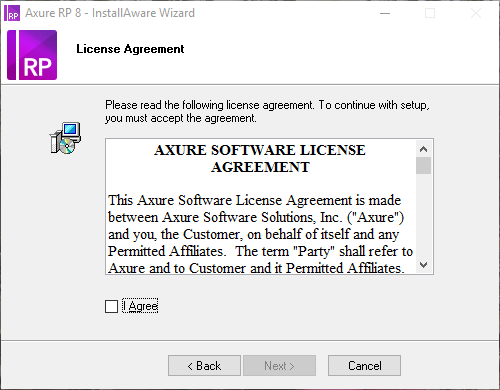 Please read the license agreement. You must agree to continue the setup. Check the I Agree box. Click Next. 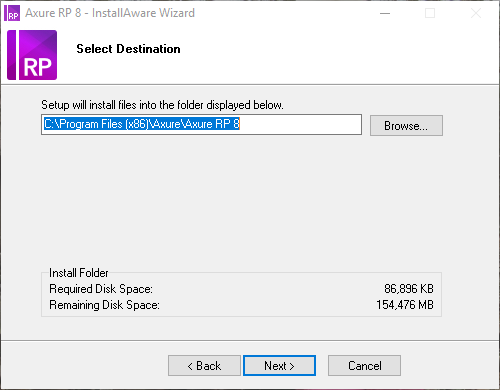 Select the default destination by clicking Next. 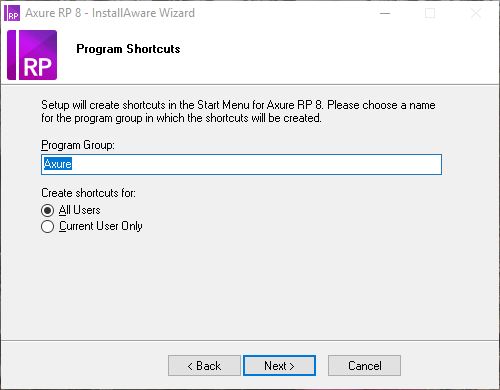 Setup your program shortcuts. Click Next. 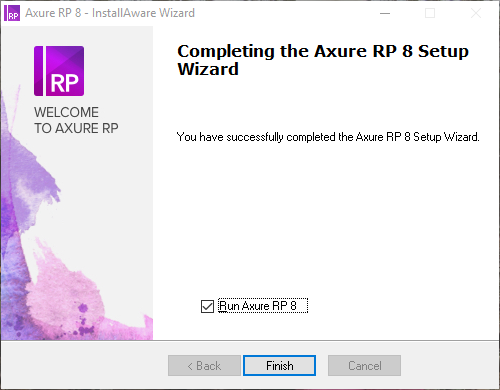 Complete the Axure setup wizard. Click Next. Complete the setup. Click Finish. 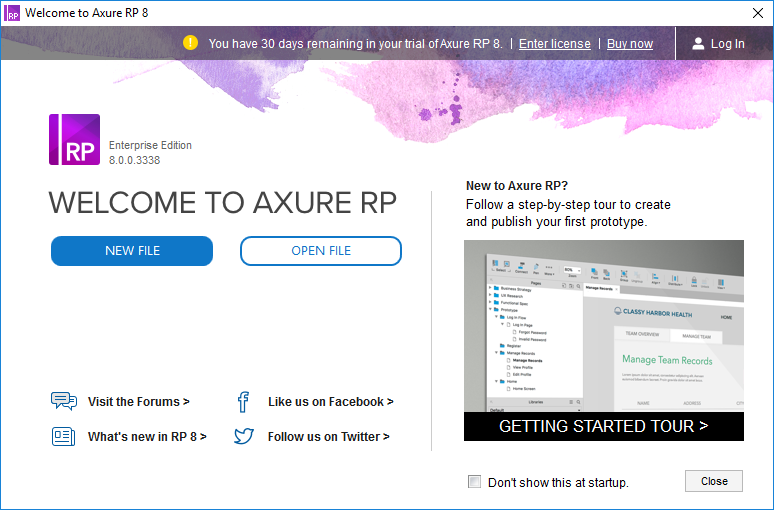 Enter your educational license on the Axure RP welcome page.